Cream sugar with the oleo/butter, then stir in eggs til nicely yellow. Then add grated lemon zest and milk. Blend flour with baking powder and salt. Add this to the egg mixture and stir lightly til well blended. Add nuts last. Line brownie or oblong cake pan with parchment paper or spray with Pam. Pour batter into pan and level it out towards the corners and sides. Bake 40-50 minutes or is done when toothpick comes out clean. Remove from oven and immediately pour lemon juice-sugar mixture over bread and spread with pastry brush. Eat hot or wait til it cools! 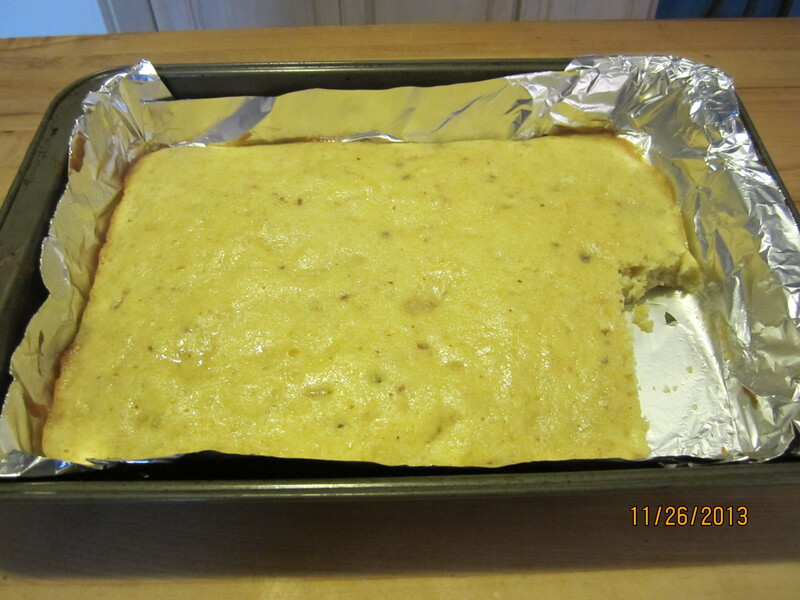 This entry was posted in Recipes and tagged bread, easy, eggs, lemon, lovely snack, quick, tangy, topping, zest. Hope you like the bread-cake, Martha. I like it because it’s not overly sweet and is so refreshing to the taste buds. If you eat it when it’s cool, powdered sugar is good on top also.